I thought this was going to be a sweet romance where Lia and Finn were fighting their attraction for each other while working and running her father's restaurant. What it turns out to be is an awesome romantic suspense of twists and turns of who is after Lia, Finn, or out to ruin the restaurant. Lia Gardella has returned to the family business, one she ran from ten years ago, after almost burning it to the ground. Lia is what seems to be accident prone or a total klutz. Almost can't stand on her own two feet. When she was younger, she always wanted to be near Finn, she loved him and still does. Finn Newland is the head chef of Gardella's and has worked hard for that position. One day he hopes to own what is one of the best restaurants in Atlanta. Finn has loved Lia, but knows that he is not good enough for her, so he has kept away from her in that respect. But he has always protected her. When a string of what seems to be pranks start happening after Lia starts working at the restaurant, Finn waves them off as employee pranks while Lia is looking for enemies of the restaurant or from Finn's past. 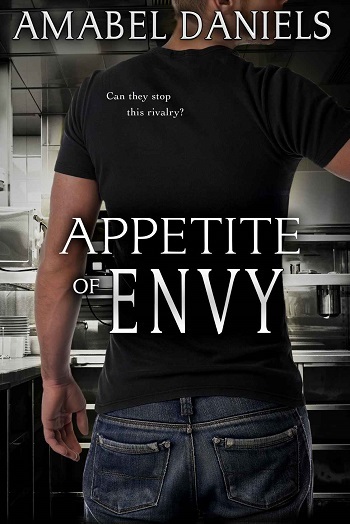 Can Lia, Finn, and the restaurant survive to find out who is after them? Will Lia give Finn a chance to prove his feelings are real? Can Finn chance his manwhoring ways for her? This is a first for me from Amabel Daniels and I loved everything about this book. I can't wait to read more from her. Maybe something from Finn's brothers or sister, lol. Anyway, if you are looking for a romantic suspense that will keeping you guessing, then give this book a chance, you will enjoy it. This book is about preconceptions, misconceptions, and lies. Lia Gardella is the only child of Enrico Gardella, the owner and former chef of his own restaurant, Gardella's. Being clumsy yet determined, Lia tried to live up the lofty expectations of her father, always failing, never succeeding. The one person in the world that her father seemed to praise was Finn, the boxer/MMA fighter, who happened to be as good in the kitchen as he is in the ring. Finn Newland is at the top of his career, yet something is missing. Could it be the woman he let get away? The one that walked away and never looked back? His friend, his confidant, the one person who believed in him when no one else did. Ten years later he's thrown for a loop when she suddenly re-appears in his life and all because her father asked. Seeing her walk through those doors brings on feelings of insecurities like never before. Not understanding why her father is giving his restaurant to her, he resents her very presence in the building even though all she's trying to do is make it even more successful. The story of Lia and Finn is a fun read and runs the gamut of emotions. The author successfully wove conflict and humor between layers of romance, and the real winner is the reader. This is an action packed mystery romance that will keep you on the edge of your seat from page one. Lia Gardella is a sweet, shy, and terribly klutzy young woman who almost burned her father’s prized restaurant down a few years prior. After having a mild heart attack, her father decides that he wants Lia to manage the restaurant, but that news is not taken well by a single employee. Especially long time chef, Finn. Finn knows he deserves the restaurant after pouring his heart and soul into fixing it back up after Lia almost burned it to the ground. When Lia steps back into his life, he wants her to turn around and leave just about as equally as he wants her in his bed. Then the pranks start against Lia and Finn steps in to be her knight in shining armor. Lia fights her attraction to Finn tooth and nail because she knows that he’s a womanizer and thinks that he just wants a one night stand, which she’s not willing to give. When the pranks turn more dangerous, Finn decides not to let Lia out of his sight and the attraction between the two becomes so much more. This is a read that will keeping you guessing until the end. Usually I can guess who the “bad guy” is going to be in this type of read, but I was just as surprised as Lia and Finn to find out who the culprit was. The plot is original and the storyline is fast paced, I really enjoyed it and I look forward to reading more from this author! 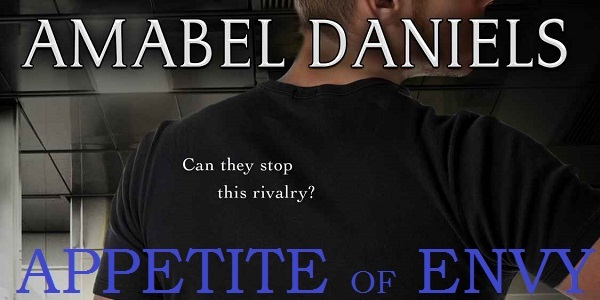 Reviewers on the Wicked Reads Review Team were provided a free copy of Appetite of Envy by Amabel Daniels to read and review.